The Supreme Court has, subsequent to its 1973 decision, ruled many times on abortion, often on matters relating to the funding of abortion and to the extent to which states can regulate access to abortion and the conditions under which it can be performed. Though the framework laid out by Roe has been significantly changed, the “core” remains: that is, that a mom should be able to have her unborn child killed. As we approach this January 22nd anniversary, and as hundreds of thousands of Americans gear up to march in Washington this Friday to protest Roe vs. Wade and call for its reversal, it would be a great idea for both sides of the abortion debate to reread the decision that stands at the center of the controversy. They might be surprised at what they find. In fact, I’ve often said that the abortion advocates would do well to actually implement what Roe said. It is, indeed, a disastrous decision that needs to be reversed as soon as possible. But just as it rejects the commonsense reality that a child in the womb is indeed a child and should be protected like any other human being, Roe also rejected a key tenet of abortion advocates, namely, that abortion is a basic right which the state should never restrict. The decision of the majority explicitly stated that it did not fully agree with the assertion of “an absolute right that bars any state imposition of criminal penalties in the area.” The appellant, that is, the pro-abortion side of the case, claimed “an absolute right,” which the Court rejected. 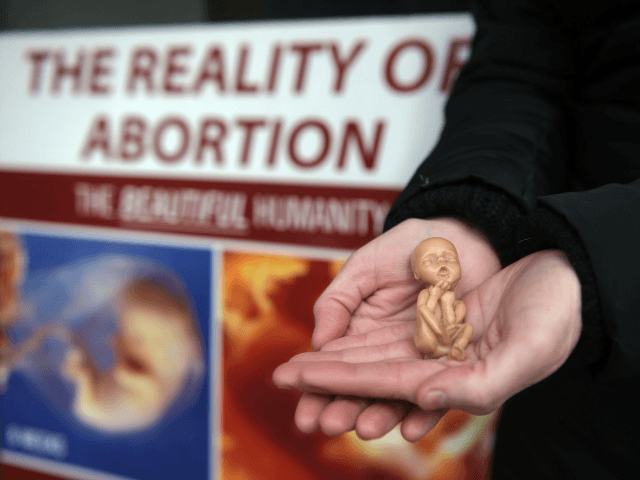 The scattered abortion activists on the streets of Washington this week will hold signs saying “Abortion on Demand Without Apology.” Others will insist that abortion is a “fundamental human right,” as they have sought to persuade the United Nations to affirm. But Roe vs. Wade did not buy this, and the Court still doesn’t. Moreover, the American people never have. Abortion is not a “fundamental right” admitting no regulation or restriction. Roe acknowledged that the state does have something to say about how and even whether a particular abortion procedure can be performed and that its intervention can relate to its concern about maternal health and even its concern about the life in the womb. “(a) For the stage prior to approximately the end of the first trimester, the abortion decision and its effectuation must be left to the medical judgment of the pregnant woman’s attending physician. Pp. 163, 164. “(b) For the stage subsequent to approximately the end of the first trimester, the State, in promoting its interest in the health of the mother, may, if it chooses, regulate the abortion procedure in ways that are reasonably related to maternal health. Pp. 163, 164. Subsequent Supreme Court decisions have changed the “trimester” framework to an “undue burden” standard, saying that state regulations cannot impose an “undue burden” on a woman’s ability to get an abortion. But this has put the Court in a position of being a referee, or a super-regulatory agency, every time a state tries to assert its interest in protecting either the mother or the baby within her. Nevertheless, we have seen the Court uphold the ban on partial-birth abortion (Gonzalez vs. Carhart, 2007) and the state’s right to identify its interests in regulating and even prohibiting abortion. The laws being passed now in various states to protect babies in the womb after 20 weeks of development identify a state interest in protecting such children from pain. The 2016 Whole Women’s Health v. Hellerstedt decision was a step backwards by the Court, striking down reasonable regulations Texas had enacted to protect women’s health in abortion clinics. But that decision can also be reversed. In short, the battle rages as to how far the state can go in restricting and regulating abortion, but the Supreme Court does not hold a sign saying “Abortion on Demand Without Apology” and never has. Fr. Frank Pavone is National Director of Priests for Life. Follow him on Facebook, Twitter, and Instagram.